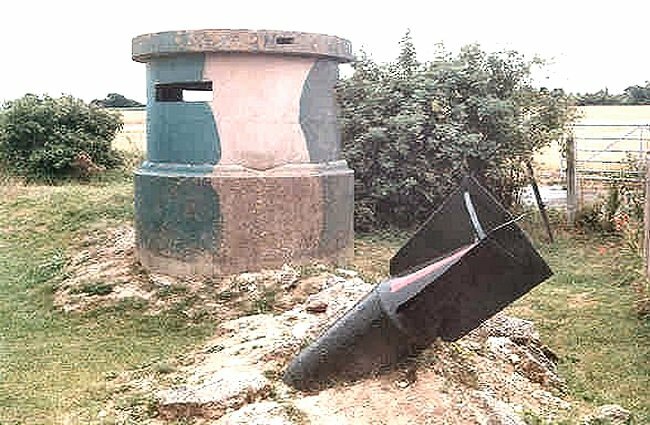 This unusual round pillbox forms part of a display at the museum on the former RAF Tangmere site. The upper section could be raised or lowered by the operators inside. Photographed 6th August 2000. 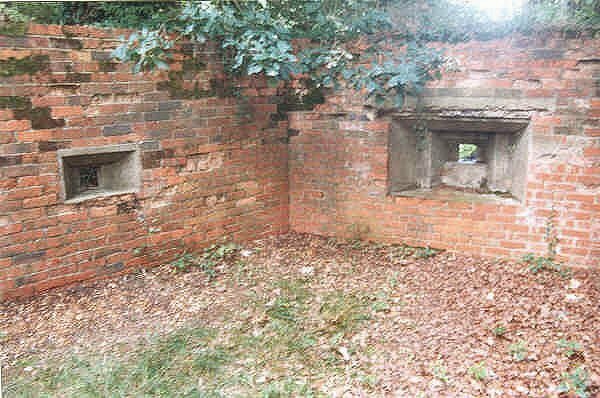 Inside a pillbox near Waverley Abbey on 6th August 2000. 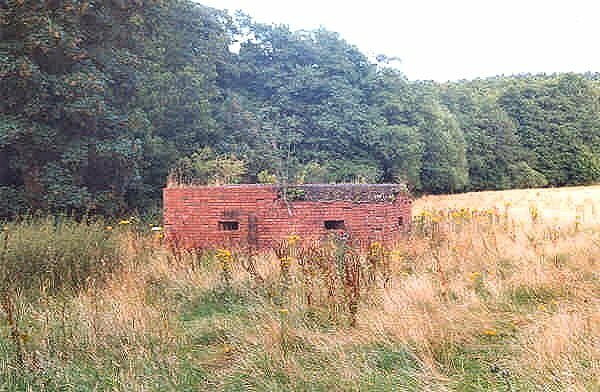 Pillbox in a field near Waverley Abbey on 6th August 2000.